There's no dearth of places to shop from on MG Road in Camp. We found a bag store, Double U which is an Italian Brand's first store in India and they've got a stock of cool. The brand Double U has been brought in as a franchise, but it's manufacturing all its products for this store in India. They've got bags in different sizes but here's where it gets cool. The label has washable and semi-washable bags. The inner pouches are interchangeable. They come with knobs so you can remove them and wash that too in case of spills. The main body of the bag is made out of a polyurethane material, so there's no plastic or any kind of animal skin involved. But you know what's cooler? You can design your own bag too! You can shop for accessories (that are like flaps) and change your bag's look completely. The store has a range of accessories, there are flaps in stripes, fur, gota work and more that will be worn on your bag, as if it's a new skin. And, this changes the whole look of the bag. They also have a range of a codroy-like material. And, the label carries bags in colours that you wouldn't find otherwise. 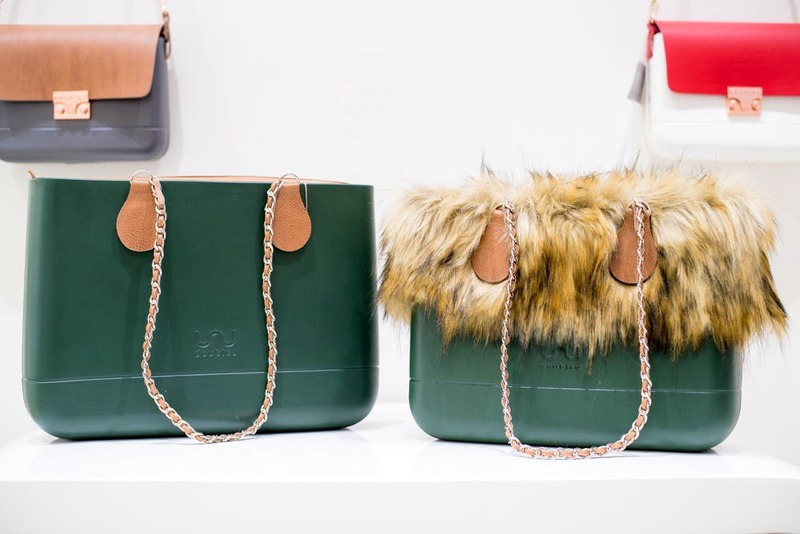 We found earthy greens, neon green with a pink strap, ice blue and more colours that are rare to find in other bag showrooms. They have different kinds of totes, sling purses and laptop bags too. And, the quality is super sturdy! The price range start at INR 2590 and can go up INR 4740. Accessories can range between INR 400 to INR 1600. We'd love to see more style of bags. We're thinking backpacks and other trendy purses would be cool too. They have purses that'll fit in a 13” laptop and the laptop bags are sized to accommodate 15” to 17” big laptops. So you can definitely pick up something that looks good and is functional at the same time.